You can’t be the Captain of your own ship without expecting stormy seas somewhere along the voyage. When calm waters have given way to waves of uncertainty, whether due to seemingly impossible deadlines, a worryingly quiet diary or those pangs of self-doubt, it’s easy to find yourself floundering in the seas of self-employment. When testing times leave you feeling all at sea with working for yourself, let these three tips be the life buoys that keep your head above water. While the positives of self-employment speak for themselves, working for yourself isn’t all plain sailing. Sometimes seas are stormy but they’re easier to weather if you are expecting them. Stressful periods are an inevitability when you take the plunge into working for yourself, whether they come in the form of too much or too little work, to a project that has you questioning your confidence or a client who keeps you awake at night with all but impossible demands. Accept ups and downs are coming from the very beginning and you’ll be far better prepared to surf the waves when stormy seas do hit. We hate to repeat the words of our Year 11 geography teacher but the motto ‘fail to prepare, prepare to fail’ doesn’t just apply to your GCSE mock exams. Once you’ve accepted that stormy seas inevitably lay ahead, it’s time to put a contingency plan in place for when they hit. You’re the Captain of your own ship now and that comes with the responsibility of keeping things afloat when situations are less than ideal. When business is thriving, set aside a little extra cash to compensate for those tumbleweed times. Make sure any necessary public liability insurances are in place to have your back in case of a client complaint. Lastly, get friendly with people offering similar services to you. There’s no better feeling than somebody who just gets the little foibles of working in your industry, plus you’ll have someone trusted to pass projects onto when your diary is bursting at the seams but you don’t want to turn away a client. No good Captain would be without his first mate. Now, we’re not talking about your real mates; nobody wants to hear you drone on about work worries when you’re down the pub on a Saturday night any more than you want to talk about them. Instead, your first mate should be impartial, a calming influence during tough times and a voice of reason when you’re ready to throw in the towel. Enrolling a life coach or mentor can clear the mental fog that has a tendency to descend when you’re juggling the many balls of self-employment, helping you keep your head above water and keep swimming in the right direction. Still feel like you’re floundering? 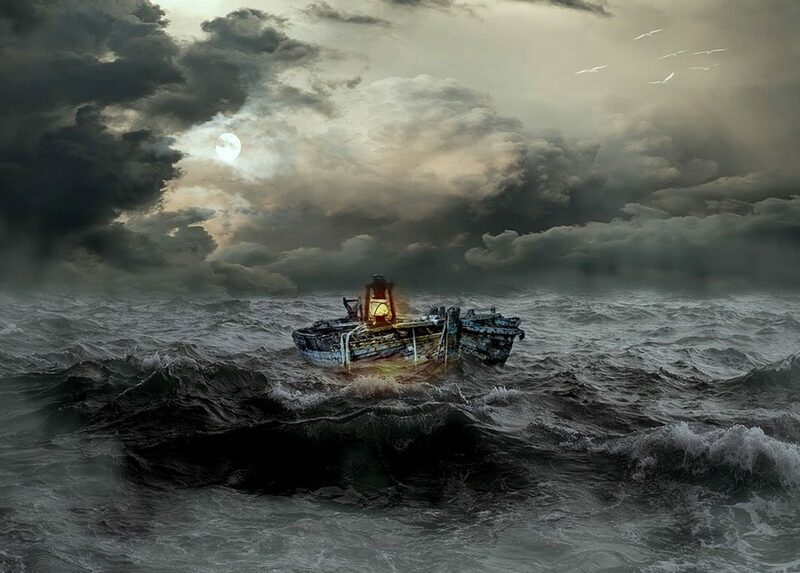 Cruise through stormy seas with the help of Helm. From business and life coaching to freelance support and business startup advice, we’ve got everything you need to ride the waves of working for yourself.